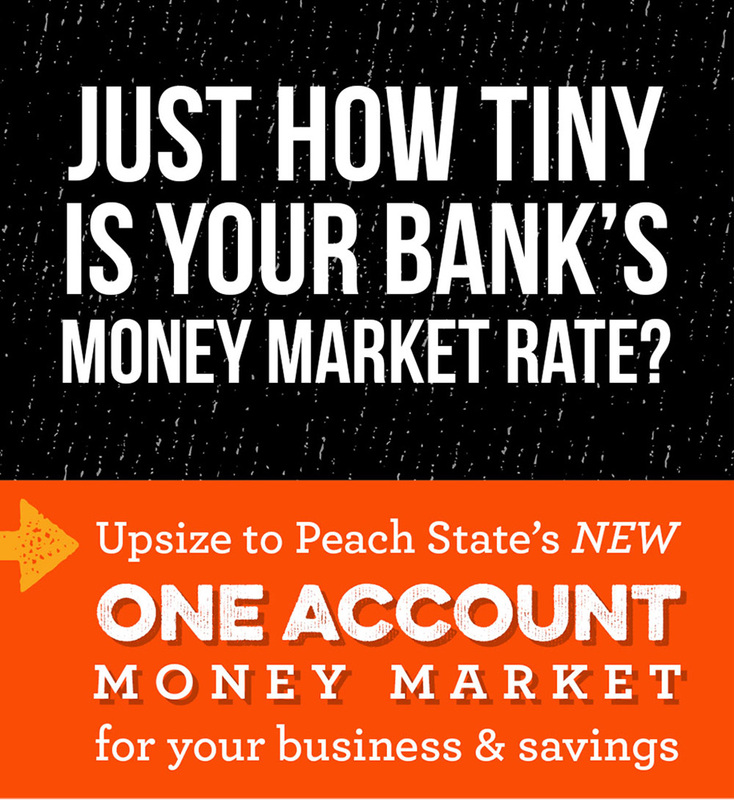 THE ONE BUSINESS MONEY MARKET *$25,000 minimum deposit and balance required to open. Earn 0.50% Annual Percentage Yield (APY) on balances up to but less than $50,000. 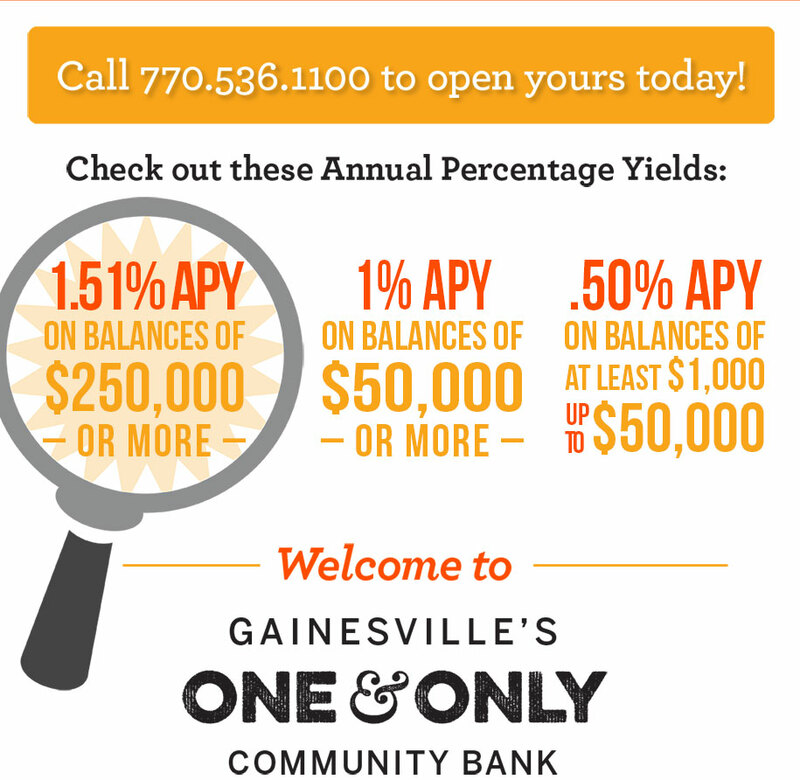 Earn 1.00% APY on balances equal to or greater than $50,000 but less than $250,000. Earn 1.51% APY on balances equal to or greater than $250,000. A maintenance fee of $25.00 will be imposed every statement cycle if daily balance on any day of statement cycle falls below $25,000. Rates effective 11/01/2018, subject to change after account opening. Fees may reduce earnings on account. Interest will be compounded monthly and credited to the account monthly. If you close account before interest is credited, you will not receive accrued interest. THE ONE PERSONAL MONEY MARKET *$10,000 minimum deposit and balance required to open. Earn 0.50% Annual Percentage Yield (APY) on balances up to but less than $50,000. Earn 1.00% APY on balances equal to or greater than $50,000 but less than $250,000. Earn 1.51% APY on balances equal to or greater than $250,000. A maintenance fee of $25.00 will be imposed every statement cycle if daily balance on any day of statement cycle falls below $10,000. Rates effective 11/01/2018, subject to change after account opening. Fees may reduce earnings on account. Interest will be compounded monthly and credited to the account monthly. If you close account before interest is credited, you will not receive accrued interest.